Director, Kerala Tourism, P Bala Kiran receives the Lonely Planet award from actor Vikrant Massey and Kamal Pandit, Head (design) VIP Ltd, in Mumbai on 18 May. Kerala Tourism is on a roll. 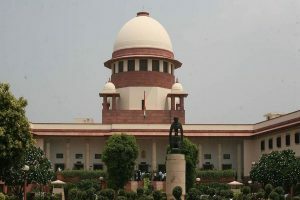 After Facebook declared the Kerala Tourism page on the social network site as the best among all states, Lonely Planet magazine has given the state the ‘Best Destination for Families’ award. 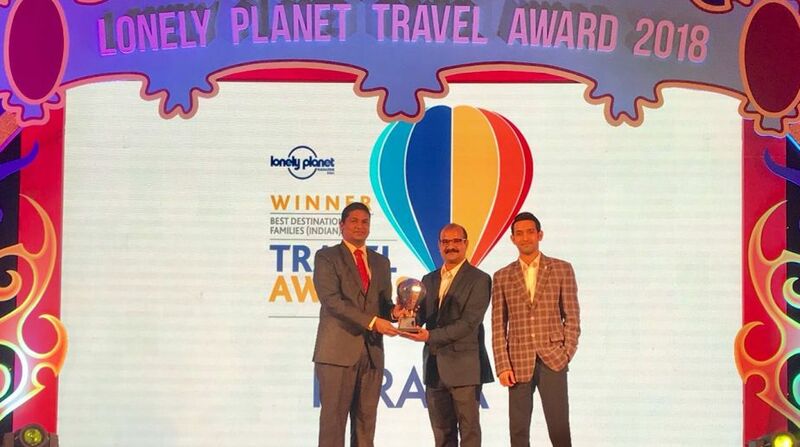 Kerala Tourism bagged the ‘Best Destination for Families’ award through an online poll conducted by Lonely Planet Magazine India Travel Award 2018. P Bala Kiran, Director, Kerala Tourism, received the prestigious award at a function organised at St Regis in Mumbai on 18 May. Last year, Lonely Planet had given Kerala’s Munnar hill town the ‘Best Destination for Romance’ award. In a statement, Kerala Tourism said the consecutive awards demonstrated the “growing popularity of the state as the most sought-after destination across the globe”. “Rightfully, Kerala has become the tourism trendsetter in India,” it added. According to Kerala Tourism, the state saw an increase of 11.39 per cent in domestic tourist arrivals to Kerala in 2017, compared to the previous year. Foreign tourist arrivals also increased by 5.15 per cent during the period. Bala Kiran said the Kerala tourism department had been offering experiential water and action-based activities for tourists. “Kerala is hopeful to drive the growth of tourist arrivals during monsoon season this year,” he added. The department has set an ambitious target of increasing domestic tourist arrivals by 50 per cent by 2021 and doubling the foreign tourists by this period.